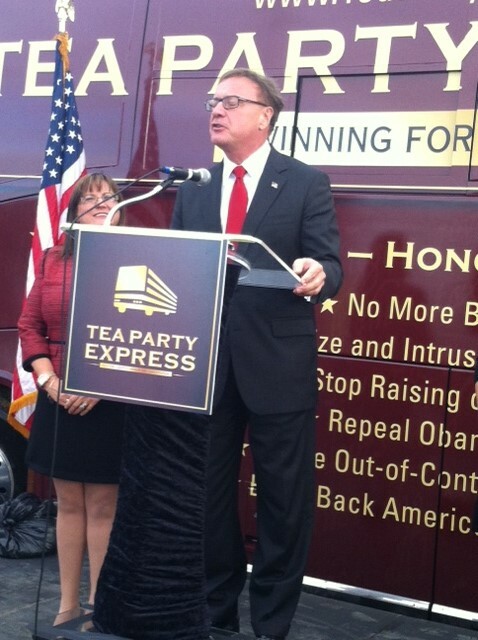 Today I had a great opportunity to attend the Tea Party Express Rally for candidate Steve Lonegan of New Jersey. There’s a special election in our state on Wednesday, October 16th to fill the US Senate seat that was vacated earlier this year due to Senator Frank Lautenberg ‘s death. 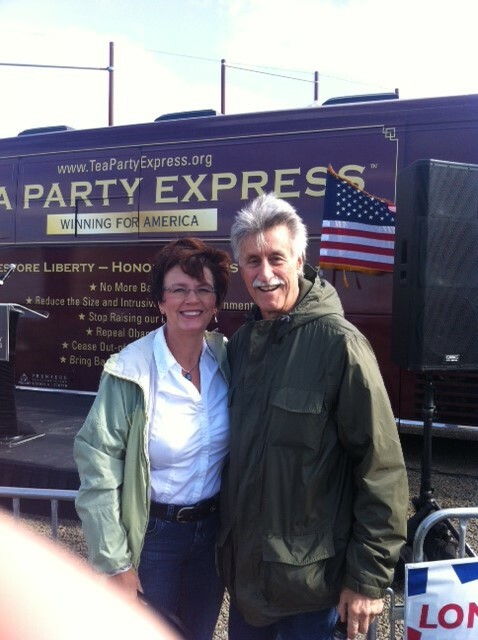 The Tea Party Express team along with special guest speakers “The Great One”, Mark Levin and Governor Sarah Palin rocked the event with music and speeches that fired up the responsive crowd. Steve Lonegan spoke to his supporters with heartfelt passion about his country, his state, his family, and his desire to serve the people of New Jersey. I can tell that Steve Lonegan is ready to fight for “we the people” much like Senator Ted Cruz of Texas and Senator Mike Lee of Utah. 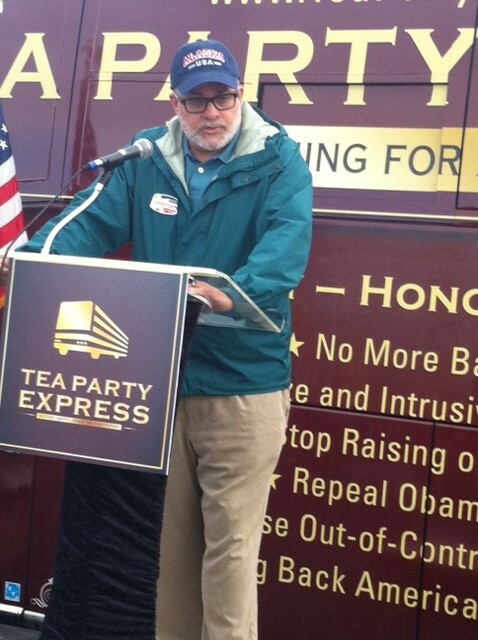 Mark Levin takes the stage wearing a hat with “Alaska” emblazoned across the front. 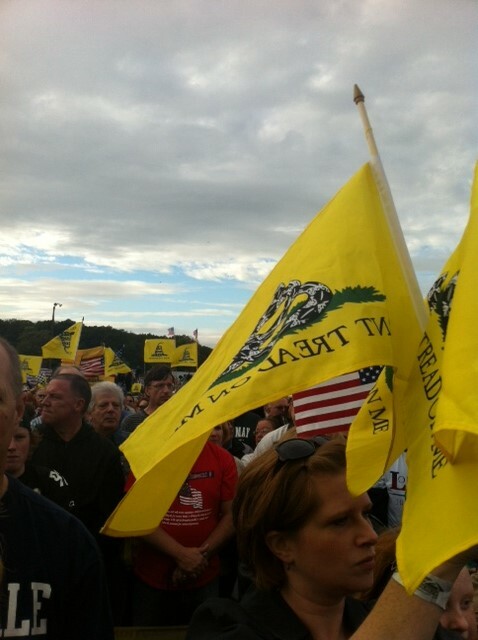 Patriots waiving their “Don’t Tread on Me” flags. Todd Palin (wearing black) and Mark Levin (wearing green). 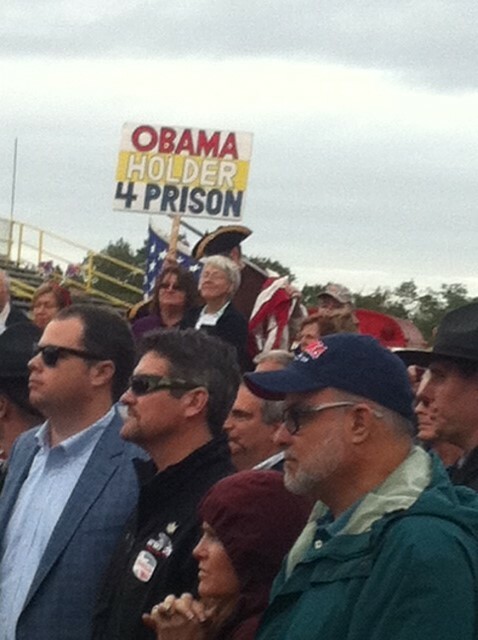 Notice the great sign in the background- “Obama (and) Holder 4 Prison”. What’s not to love about this guy’s ride? In closing, if you live in New Jersey, please get out to vote on Wednesday, October 16th and I would urge you to cast your ballot for Mr. Steve Lonegan. If you don’t live in New Jersey but wish to support a conservative candidate, Mr. Lonegan would welcome your campaign donation in any amount as he’s being outspent by the Cory Booker campaign 12-1. 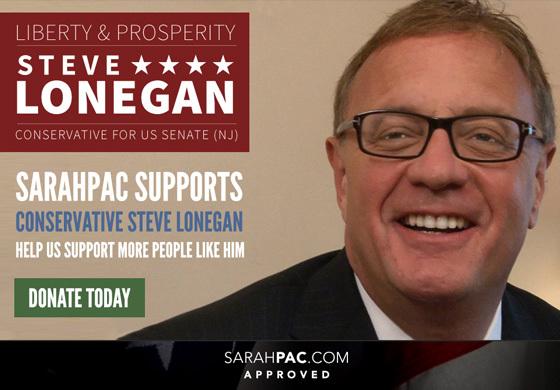 Together we can send Steve Lonegan to Washington, DC to fight for “we the people”. Gov. 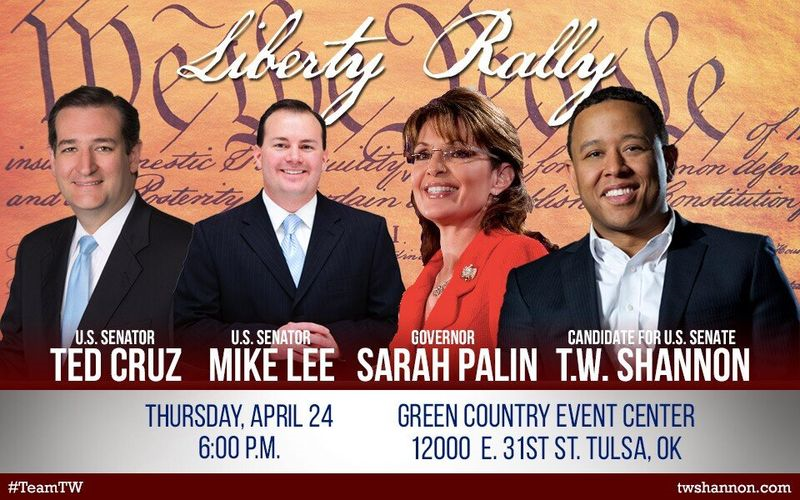 Sarah Palin and “The Great One”, Mark Levin, will headline a rally for US Senate Candidate Steve Lonegan of New Jersey. There is a special election on October 16th to fill the seat which was vacated by Senator Frank Lautenberg’s death. Looking forward to joining the “Great One” Mark Levin and the Tea Party Express in NJ this Saturday at a rally for Steve Lonegan. It’s this Saturday, 4-6 PM, at New Egypt Speedway, 720 County Road 539, New Egypt, NJ 08533. 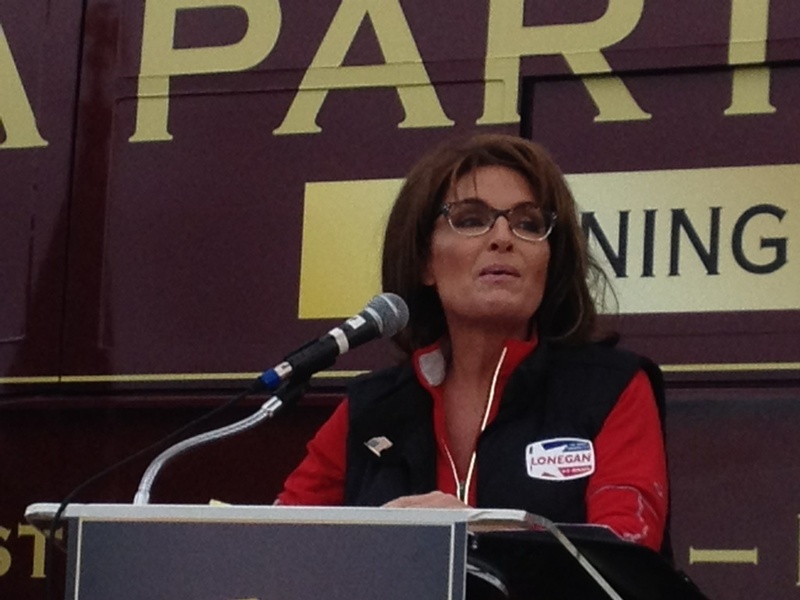 BOGOTA, NJ – Former Alaska Governor Sarah Palin endorsed Mayor Steve Lonegan in his bid for the United States Senate today. During one mayor’s tenure his town’s unemployment nearly doubled, taxes skyrocketed, and violent crime increased; but in fairness, Newark Mayor Cory Booker may not have noticed these facts between his constant tweeting and trips to Hollywood. Contrast this with Mayor Steve Lonegan. As mayor, Steve cut wasteful spending, eliminated wasteful services, stabilized taxes, and reduced debt. Perhaps it was Steve’s prior experience as a successful small business owner and entrepreneur that encouraged him to lead with conservative principles. He understands that government is too often the problem, not the solution. Steve asked for my support, and today I officially endorse his candidacy. I encourage voters in New Jersey to give Steve a look and not believe those in the media who tell us conservatives can’t win in certain areas! Steve’s own electoral history proves that theory untrue. New Jersey deserves better! Steve Lonegan will fight to preserve our Liberty against government regulations like Obamacare that seek to limit our prosperity. 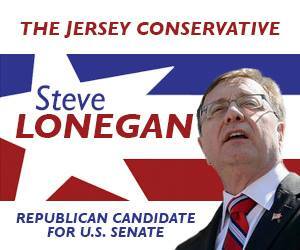 Let’s come together, turn out, work hard, and elect conservative Steve Lonegan to the U.S. Senate on October 16! 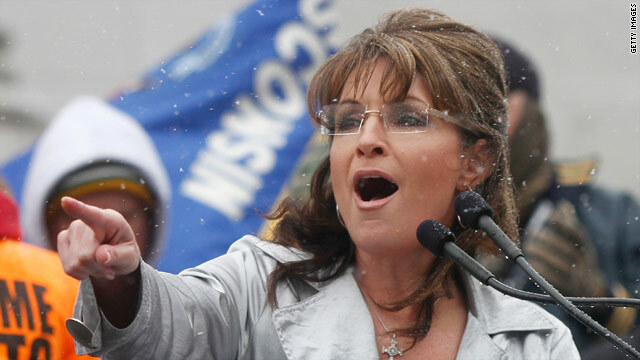 Sarah Palin, the former Republican vice presidential candidate and Alaska governor, is set to become the latest conservative to endorse Steve Lonegan in New Jersey’s special U.S. Senate race, The Star-Ledger has learned. Lonegan, a conservative Republican activist running against Democratic Newark Mayor Cory Booker, said his campaign will officially announce the news Thursday morning. 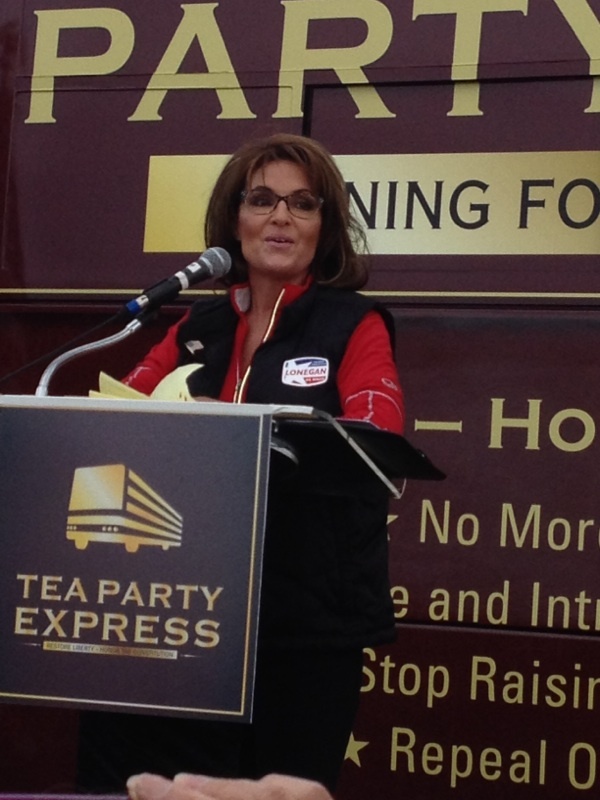 Palin will not visit New Jersey for the announcement, nor is she scheduled to stump for Lonegan here, the campaign said. Jason has worked tirelessly to build on the foundation of his humble beginnings and is a responsible and respected leader in the Show Me State. In Washington DC, Jason will maintain that innate sense of his community and will bring his commonsense conservatism to the halls of Congress. Jason recognizes that government is the problem, not the solution. He will protect our 2ndAmendment rights and work to promote a culture of life. We must all work together to send Mr. Smith to Washington on June 4th. 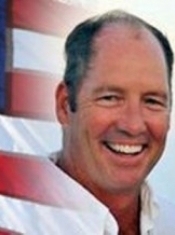 Governor Sarah Palin is endorsing Ted Yoho to represent the citizens of Florida’s 3rd district. Palin’s Facebook message is quite clear in that she believes Ted Yoho will help to bring “sudden and relentless reform” to Washington, D.C.
Dr. Ted Yoho isn’t afraid of hard work. To put himself through college and veterinary school he worked nights in a vegetable packing house and summers in construction. After graduating, he started and grew his own successful business. Yes, President Obama, Ted built that himself. Tired of watching career politicians spend us into debt and tax us to death, Ted decided to run for Congress in Florida’s new 3rd Congressional District. No stranger to hard work, Ted took his conservative businessman’s perspective from town to town, county to county, and voter to voter asking them all the same thing: “Had enough?” The answer was clear. Ted’s victory in last week’s primary sent the same message we are seeing all across the country: Yes, we have had enough. We’ve had enough of our elected officials going to Washington and forgetting about us. We’ve had enough of them mortgaging our children’s future to foreign debtors. We’ve had enough of Congress wasting our money on useless programs that enrich themselves or reward their cronies. We’ve had enough of high taxes. We’ve had enough of Obamacare’s threat of faceless government bureaucrats making life and death health care decisions for us. We’ve have enough of no job growth and government red tape that stifles our entrepreneurial spirit and any hope of long term prosperity. Underdog candidates like Ted aren’t running because it’s easy, and they don’t plan on going to Washington to just “go along to get along.” No, these underdogs are running to fight for sudden and relentless reform and they know the hard work it will require to make it happen. If you’ve had enough and are ready for some real reform that puts government back on our side, please join me in supporting Dr. Ted Yoho for Congress in FL-3. Let’s send this commonsense businessman to D.C. to fight for us. He won’t forget who sent him there. Check out Yoho’s website for additional information or to make a donation to his campaign. 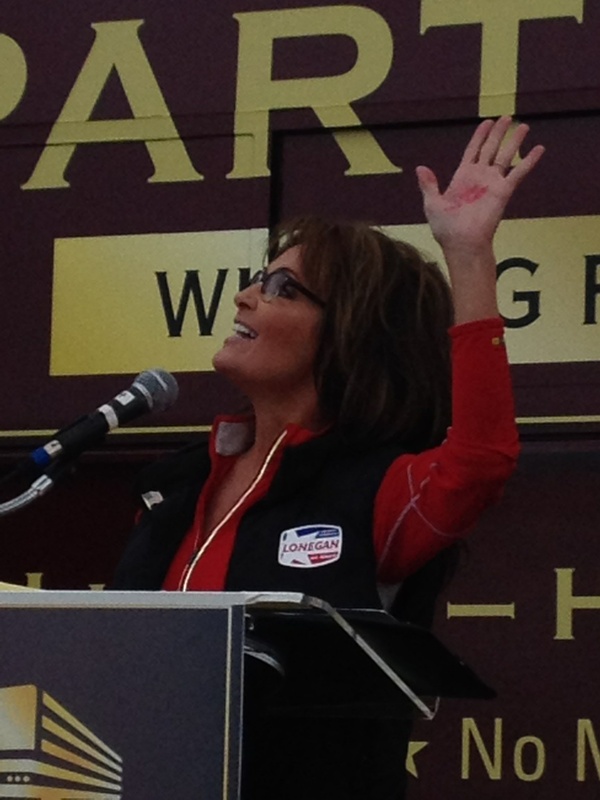 Earlier today Governor Sarah Palin again endorsed Congressman Gosar of Arizona’s 4th district. Via her Facebook page, Palin touted Gosar’s accomplishments as a freshman congressman and urged conservatives to support Gosar’s re-election bid. Dr. Paul Gosar is not a career politician. He’s a dentist, a conservative, a small business owner, and someone I was proud to endorse in 2010. His accomplishments as a freshman congressman are remarkable and a shining example of what hardworking public service is all about. You won’t find Paul playing endless rounds of golf or hobnobbing at D.C. cocktail parties. When Congress isn’t in session, you’ll find him with the people he represents. 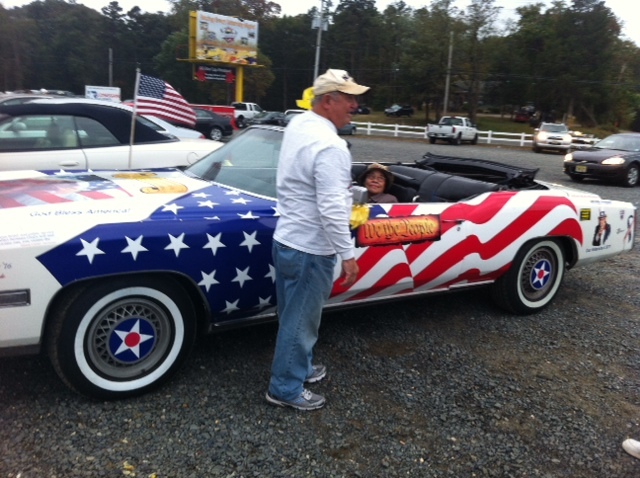 In the past 18 months, he’s held over 24 town halls and put over 60,000 miles on his old car traveling his district. And when he is not listening to the people he works for, he is with his wife Maude and his three kids, probably pulling weeds in his yard as he thinks of ways to shrink government and bring about the reform we need in Washington to secure a prosperous and fiscally responsible America for our children. As a freshman congressman, he didn’t just bide his time or go along to get along. He got down to work. 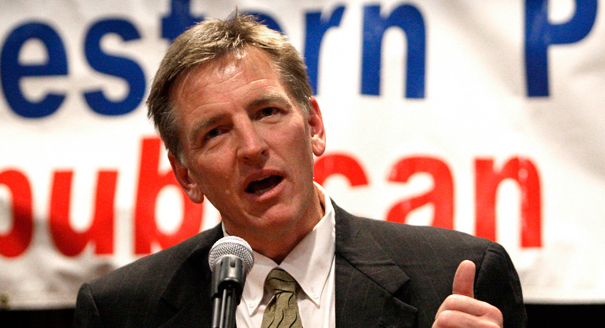 Arizona’s largest newspaper reviewed Paul’s legislative accomplishments and concluded that “Bottom line: when it comes to sponsored bills and amendments passed by the House of Representatives, Gosar has been among the most successful new members not only in Arizona’s delegation, but also in the entire freshman class.” He’s fought hard to eliminate wasteful spending, sponsoring one bill after another to repeal wasteful programs and save the taxpayers’ money. He co-sponsored and voted for “Cut, Cap, and Balance,” and he took a tough vote to cut $2.1 trillion from the bloated federal budget, which is the largest nominal spending cut since World War II. He’s been a leader on looking for ways to cut spending, and he’s also been a staunch fighter for the people of Arizona. Along with Congressman Darrell Issa, Paul has been laser-like in pursuing the truth about the “Operation Fast and Furious” scandal, and Paul is the sponsor of a resolution of no confidence in Attorney General Holder. He’s also defended the interests of Arizonans in taking on the Obama administration’s over-reaching EPA bureaucrats. I think you can see why he has the support of so many Arizonans – from Governor Jan Brewer to Senator Jon Kyl. I was proud to endorse Paul Gosar two years ago, and I believe he more than deserves to return to Congress to continue his good work for Arizona’s new 4th Congressional District. I hope you’ll join me in supporting Paul and donating and volunteering for him. 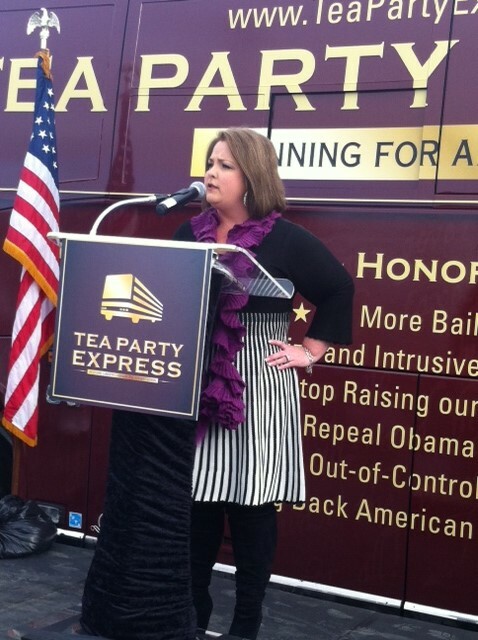 This is one conservative public servant you can be certain will be working hard for you and getting positive results. You can learn more about Congressman Gosar or donate to his campaign here.